Good morning. I am glad to be here for this interview. First let me introduce myself. My name is ***, 24. I come from *****,the capitalof*******Province. I graduated from the ****** department of *****University in July ,2001.In the past two years I have been prepareing for thepostgraduate examination while I have been teaching *****in NO. ***middle School and I was a head-teacher of a class in junior grade two.Now all my hard work has got aresult since I have a chance to be interviewby you. I am open-minded ,quick in thought and very fond of history.In my spare time,I have broad interests like many other youngers.Ilike reading books, especially those****.Frequently I exchange with otherpeople by making comments in the forum online.In addition ,during my collegeyears,I was once a Net-bar technician.So, Ihave a comparative good command ofnetwork application.I am able to operate thecomputer well.I am skillful insearching for information in Internet.I am a football fan for years.Italian team is my favorite.Anyway,I feel greatpity forour country’s team. It is my great pleasure to behere. 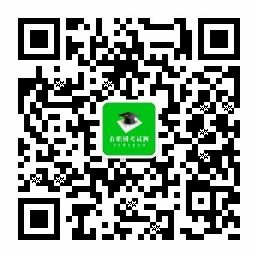 My name is mingmingzhou , graduated from Computer Science Department ofWuhan University.During my four-year study in the university as anunder-graduate student, I have built up a solid foundation of professionalknowledge, as well as a rich experience of social activities. I am a determinedperson, always willing to achieve higher goals. What's more, I am good atanalysis, with a strong sense of cooperation. All of these led me to thesuccess of passing the first round of the entrance examination to the Master'sdegree. Personally, I am very humorous and easy-going, enjoying a goodrelationship among my classmates. In my spare time, I like toread books regarding how to be myself and how to deal with problems. Music andmovies are my favorite entertainments. As for my sport interest, I could notdeny my greatest interest is football. Playing this game brings me a lot ofglory, happiness and passion. All in all, Wuhan University,with a highly qualified faculty and strong academic environment is theuniversity I have long admired. I believe that I am a very qualified applicantfor admission into your Master of IT program and can contribute to theenrichment or diversity of your university. Good morning, sir/madam, It’s my honor to be here for this interview. My name is ****, I am ** years old. In 2003，I graduated from ** University，majoring in ***. In Feb.20** to Feb.20**, I worked in a big private-owned enterprise in ** province as an export specialist. In 200* I became the export manager. It was the first time that I became a head of an office. Our office had only three members, but we were in charge of sales order over 30 million per year. In early 20**, I transferred to **** Group, which is the biggest Chinese trading company ，and I was a senior merchandiser in charge of supplier organization and customer coordination. In 20**, I moved to **** Group, the biggest trading conglomerate in Taiwan,as a sales supervisor. My strength lies in both my knowledge about business practice in this line of business in China and ability to communicate with all kinds of people. I like my job very much and always try my best to do it. However I always feel what I have gained either in school or in work are far from helping me to cope with the changes in the business world. In particular, there are always so many new ideas and new concepts around us. I would be kicked out of competition if I did not keep learning. That’s why I choose to take MBA in this famous University. I believe my study experience will significantly help my career development in future.